Remember that time Anne Shirley wrote a story that won the Rollings Reliable Baking Powder contest? Don't you kind of want to read that story? There is something so tantalizing, yet frustrating, about a book that is referred to in a novel or film... but doesn't actually exist. Your favourite characters keep talking about it & you just really want to read it. But you can't! Because it doesn't exist! Discord & frustration. Here are a few books that I really want to read but can't, because both they & their authors are fictional. Yeah, this one tops the list. 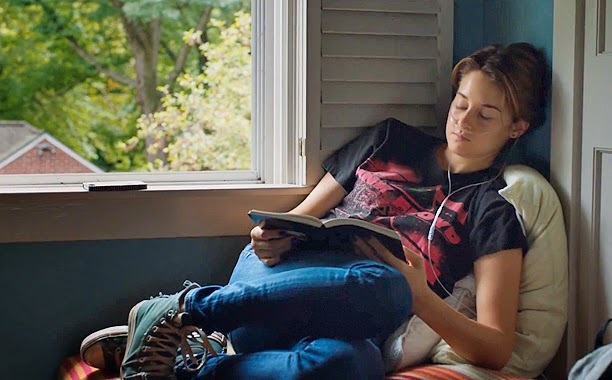 I've read The Fault in Our Stars twice already, but no matter how many times I read it, I'll never quite know what happens in Hazel's favourite book. For that matter, I'll also never get to live inside the endless fiction of The Price of Dawn, based on Augustus's favourite video game. Of the many pleasant miseries afforded by reading John Green, not getting to read Van Houten's fictional fiction is just one of them. I really want to read Augustus & Hazel's favourite books. I also want to listen to The Hectic Glow. I also want everyone to live forever. Alas. Here's a question: do the characters in Harry Potter read fiction? They read a lot - especially Hermione, obviously - but it seems to be all textbooks & Flying with the Cannons & Rita Skeeter's scandalous Dumbledore biography & Gilderoy Lockhart's made up memoirs. Do Harry, Ron & Hermione ever read novels? Every time I read or watch Harry Potter, I find myself really wanting to get my hands on Hogwarts: a History. What wonders might be revealed if this book actually existed? Maybe J.K. Rowling should get on that. I bet half of it is already floating around in her head. In the meantime, The Tales of Beedle the Bard, Fantastic Beasts & Where to Find Them, & Quidditch Through the Ages all do really exist & can be read. I recently became obsessed with One Tree Hill, & have been binge-watching it on Netflix. I'll spare you the details; suffice it to say, I really want to read Lucas's books. Although there is something that bugs me; An Unkindness of Ravens is confusingly referred to as fiction, even though it seems to be an exact retelling of Lucas's high school experience, without even any name changes. It's kind of like when TV show characters say they want a Mocha Latte. It drives me crazy. Because that's not a thing! Simon Snow is a Harry Potter-esque series in the book Fangirl by Rainbow Rowell. There are clips of it scattered throughout the book & to be honest, it seems pretty gripping. If it was real, I would read it. I wouldn't mind reading a bit of the main character Cath's fanfiction, while I'm at it. Gilmore Girls was full of amazing references to real live books, but there was also one that was fictional. Remember when Rory was languishing away at her grandparents house, skipping school & being all un-Rory-like, & in the meantime Jess wrote a book? Yeah, don't you kind of want to read that book? I'll polish off the list with this: fiction, by a fictional author, that also really exist in the real world & you can buy it & read it & it's awesome. I love the show Castle, where the main character is an mystery writer that also helps the NYPD solve crimes. And this time we're in luck; Richard Castle's books really exist, in the real world. No one quite knows who writes them, but they are actual New York Times bestsellers. Do you have any favourite fake books that you can't actually read? Ha! I have those Castle books on my shelf but can't bring myself to read them. It feels a little too Meta. That being said, I've totally read "Tales of the Beetle and the Bard" (like 3 times) & the other two HP stories as well. I'm waiting for Hogwarts: A History too. I mean, that's got to be in the works right? How could it not be? Read them, Sharelle! 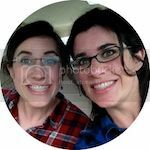 I totally want to hear your thoughts on them. I think the first one is mediocre, but the last four are genuinely good.